Manitoba Wildlands is a non-profit environmental and public research organization. We work with communities, industry sectors, and environmental organizations for the future of Manitoba's lands and waters. We support establishment of protected areas in Manitoba, with a special focus on our boreal forest regions. Manitoba Wildlands is an active member of Climate Action Network Canada. Comment Boxes: Certain pages in ManitobaWildlands.org contains 'comments' or opinion. We mark these with these gray boxes. Manitoba Wildlands products are marked . We provide information about decisions for use of crown (public) lands and water; technical information about lands use decisions. Often this web site provides hard to find government information, or documents that are not posted elsewhere. ManitobaWildlands.org also provides international, national and regional information about climate change, water, energy, species, biodiversity, and forests. The Manitoba Wildlands Facebook page contains local Manitoba news, issues, links, events, and photos selected from our many websites and services. Become a fan, let your networks know, and send us suggestions for Facebook or web site content. The Manitoba Wildlands Twitter feed contains current local and international issues, news, links, events, videos, relevant to our work here at Manitoba Wildlands. The page is updated several times a weekly, and offers an RSS feed to keep you up to date. 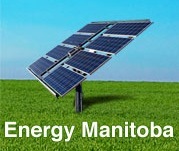 EnergyManitoba.org has been updated, redesigned and re-launched as of October 2009. The site provides a range of information about energy, hydro, and renewable sources inside Manitoba and beyond. Energy Manitoba's news page has an international scope. Several new content pages, plus Manitoba Hydro hearing archives round out the new design. Visit them on Facebook. Manitoba Wildlands RSS Feeds: RSS service provides immediate notification for our web content and news items. What is RSS? Links to external websites on this site are a service, and open in a new window. Links to external websites do not constitute our endorsement. We do not guarantee accuracy of contents of downloads, or contents of other websites. All trademarks are copyright of their respective owners. It is our assumption as a non-profit organization that none of the contents of our website will be used for profit. Contact us for permission to use. The purpose of our web site is to educate and inform the public about environmental issues. When you visit this site and access information, you are anonymous. We do not require you to provide personal information to view it. We invite you to sign up for our e-newsletter. This is an opt-in/opt-out service and is free of charge. You can unsubscribe at any time. The personal information of individuals who subscribe is not traded with other organizations. By sending us an e-mail message, you may be sending us personal information (e.g., name, e-mail address), that we may store in order to respond to the request.